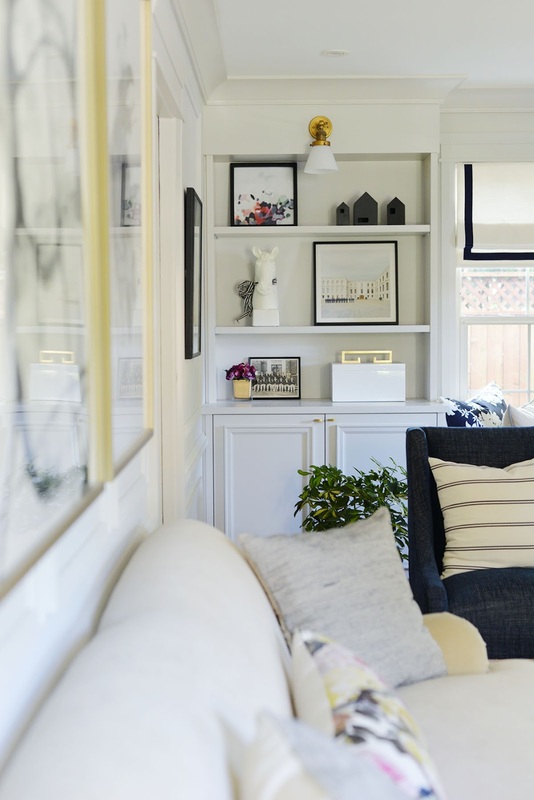 The weekly Love List will be back next week, but today, I've got a home tour to share! 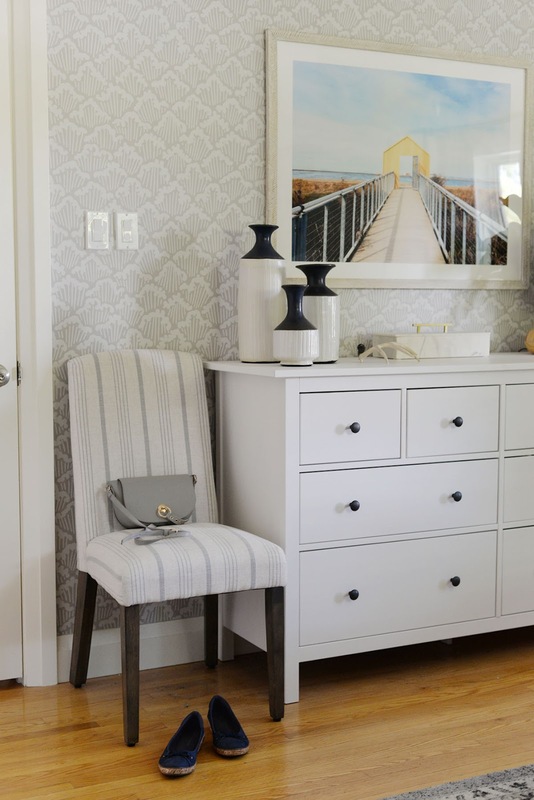 It seems like it was just yesterday we finished renovating this bedroom and I decorated it for spring. But here we are, the nights have gotten cooler, and we're bringing out the extra layers. 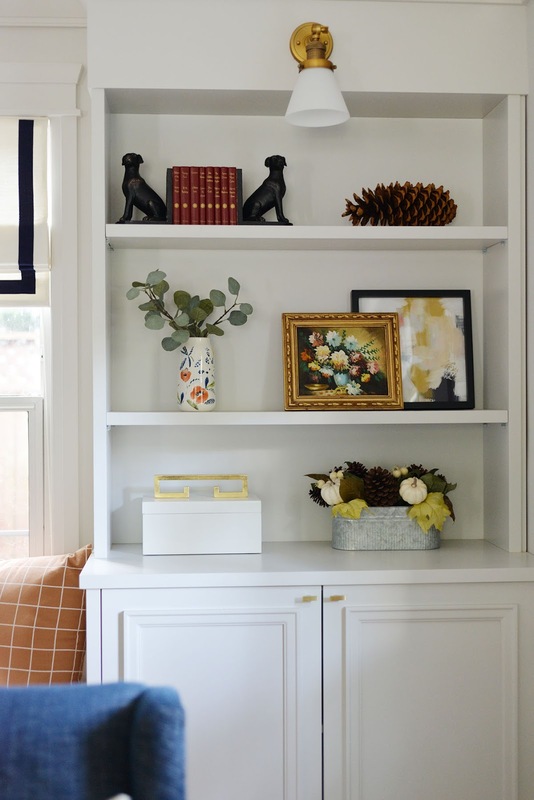 Today I'm joining the Seasonal Simplicity Fall Home Tour hosted by Krista at The Happy Housie and I wanted to share some simple fall decorating ideas for any room of your house. Fall decorating doesn't need to be complicated. It can mean bringing out just a few seasonal accents and placing them judiciously around the home. I like to decorate with small white pumpkins. Their neutral colour and small size mean they can work almost anywhere and suit any type of decor. 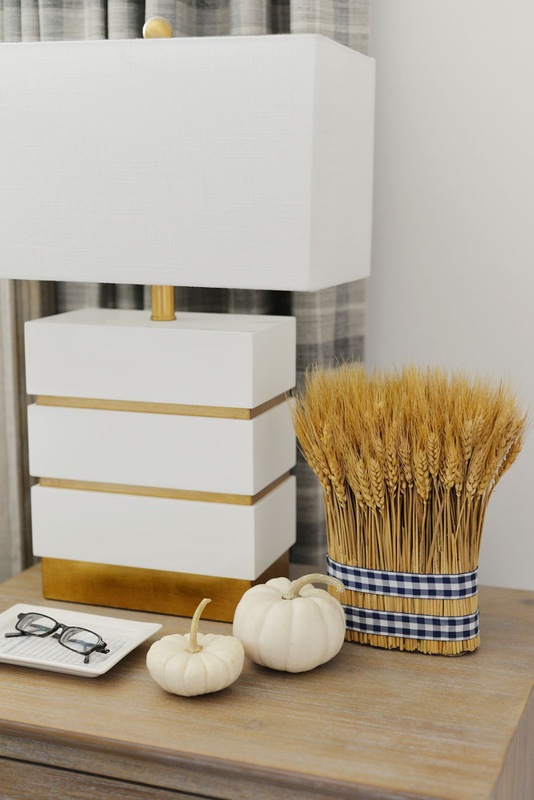 The wheat sheaf bundle, purchased at HomeSense, is also a fall favourite. It suits the season but the gingham ribbon is an added touch that gives this accessory unexpected style. Fall is also a time to play with pattern and colour. Outside your window, you see the leafy greens of summer give way to mustard yellows, crimson reds, and burnt orange so why not take that inspiration and bring bolder colours indoors too? 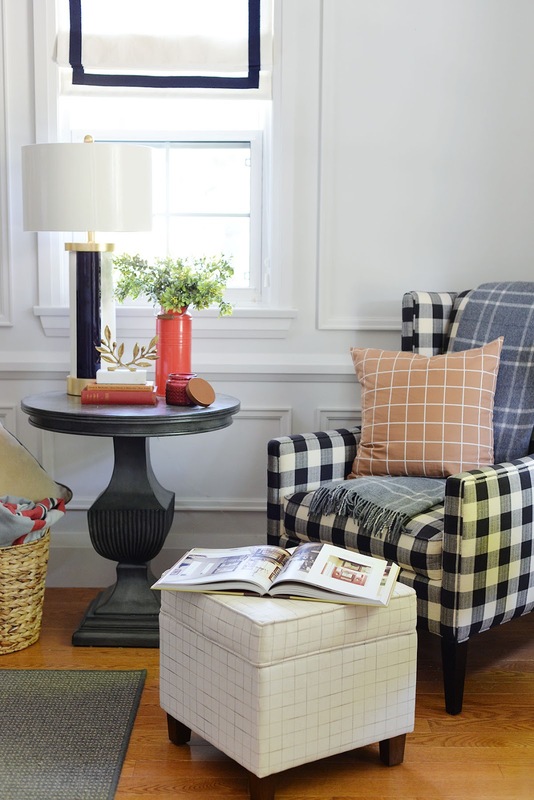 My plaid pillows (bought last year at Indigo) add just enough colour for this in-between season. 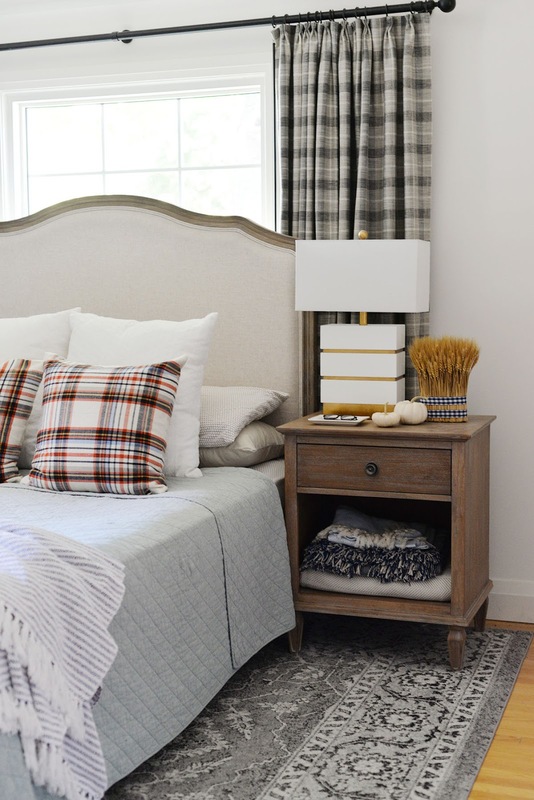 A striped throw at the foot of the bed is both decorative and functional - I'm not ready to trade the quilt for a duvet quite yet and an extra blanket comes in handy! 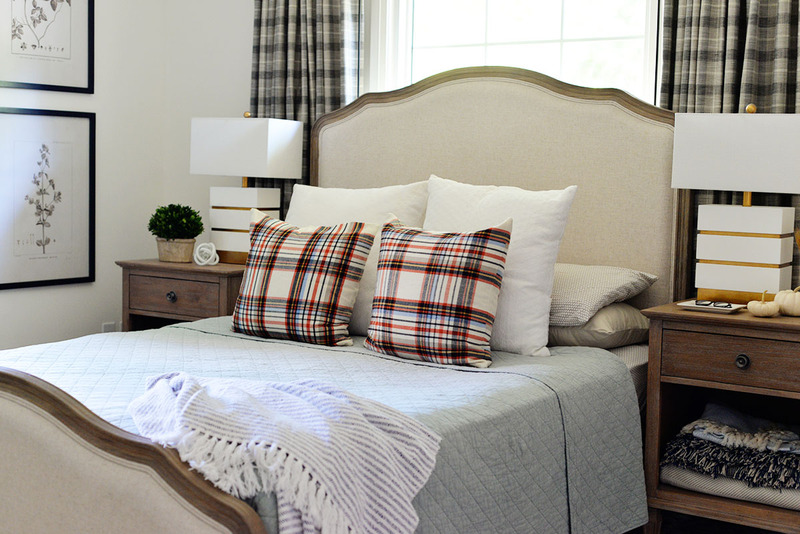 With a few small changes, the rest of the bedroom transitions easily into fall. 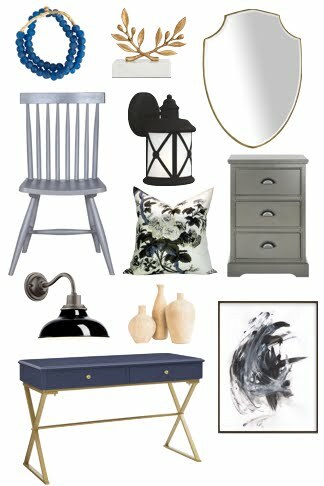 My blue and white accessories, seashells and natural wood accents have been replaced with textured, sculptural pieces. A faux antler and black and white vases feel season appropriate. The living room has also been given an update. Here, too, I've used darker accents on the built-ins. I've learned that I like these bookshelves best when they're styled very minimally. Richer and deeper colours in the artwork and books add coziness. Florals, real or faux, do a great job in conveying the season. For fall, I've brought in more simple branches and succulents (all faux, because we know I'm terrible with flowers!). Again, the white pumpkins bring interest to a coffee tablescape. Changing your pillow covers is one easy way to get a whole new look. On the window seat, the butterscotch windowpane pillow paired with the black and white floral pillow really catches your eye in this neutral space. 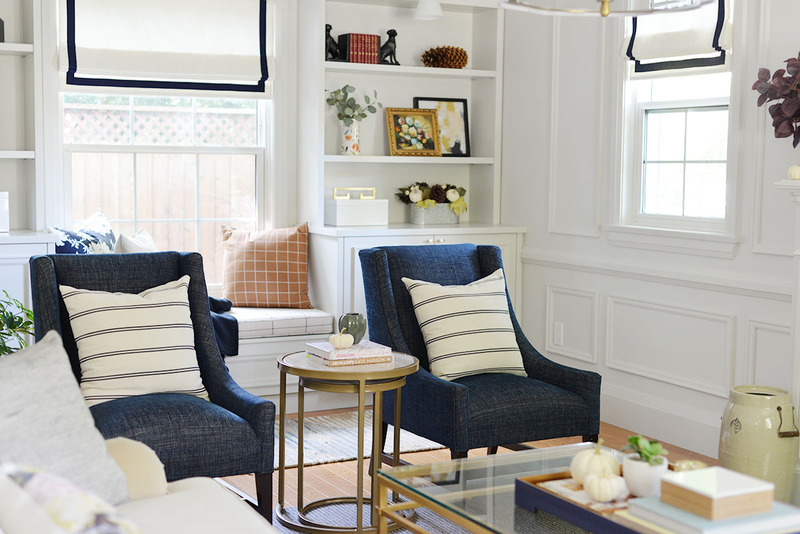 Simple striped pillows on the accent chairs bring some lightness. 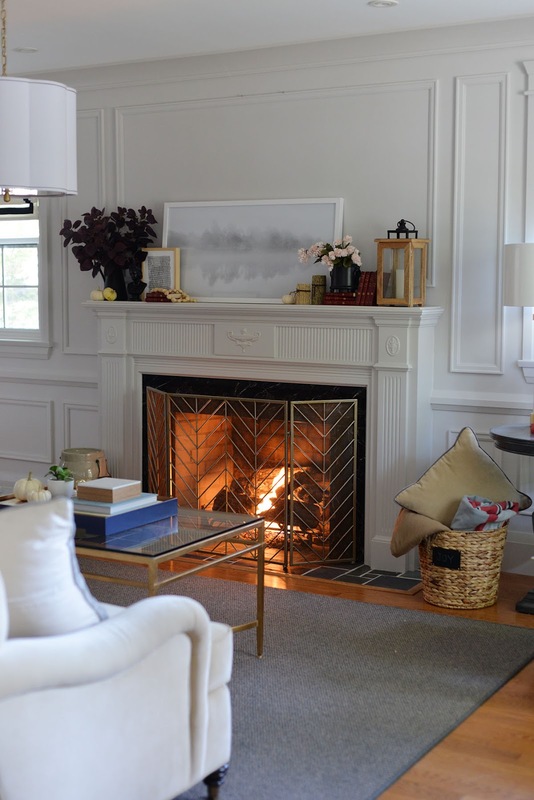 Fall is the season when we really start to hunker down, get cozy, and settle in. Your rooms should be decorated for just that: pile extra throws on chairs, provide room to put up your feet and relax, and a place to set a cup of tea. Decorate for comfort and you won't want to be anywhere but home. And what says comfort more than a warm fire? I showed you my moody and romantic fall mantel last week and the fire is the final added touch. 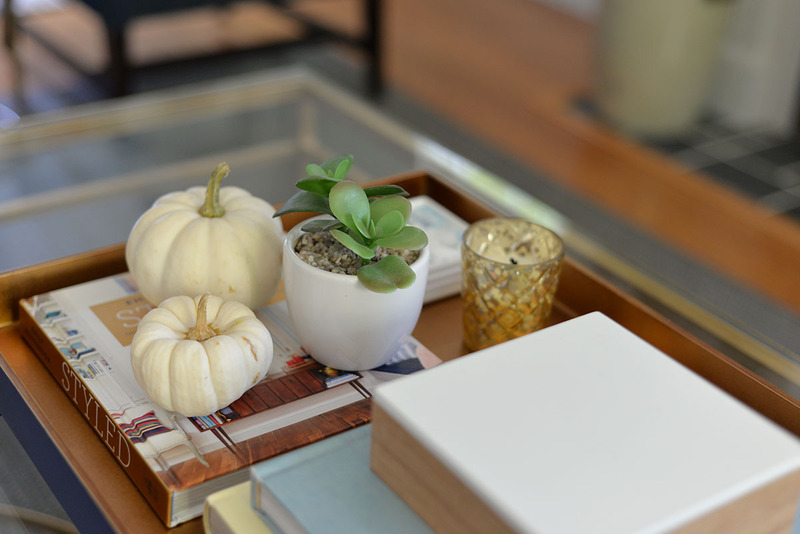 With these simple fall decorating ideas, I'm ready to embrace the change of season. How about you? 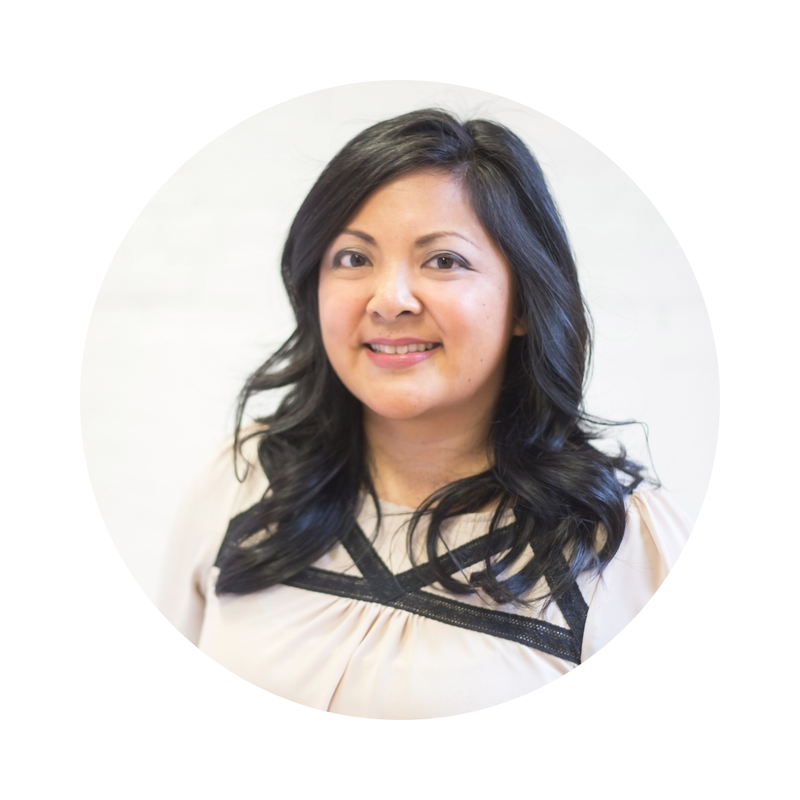 Town and Country Living // Designthusiasm // Sincerely, Marie Designs // Nina Hendrick Design Co.